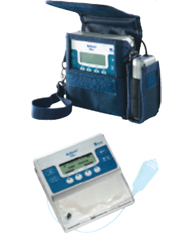 Rythmic™ Connect is a wireless real time technology using a GPRS device (IP Connect) that gets connected to the ambulatory Rythmic™pump and enables the pump to communicate with a web server and provide its infusion status online through the MicrelCare system. Physicians, nurses and homecare service providers can access the status of their patients' infusion online from anywhere. Infusion parameters can be remotely controlled and potentially adjusted thus saving on the costs of nursing time. Nurses receive SMS messages on their mobile phones with selected warnings or pre-warnings according to the event log / status of the infusion, thus being able to anticipate potential patient episodes or other events. 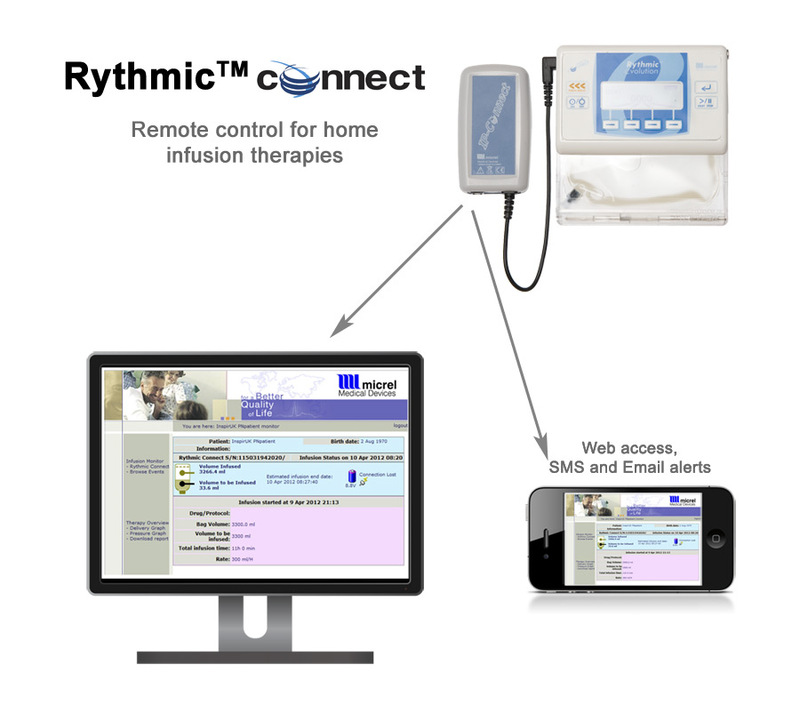 Rythmic™ Connect linked to the web represents a unique and major step forward in the practice of home care infusion therapy management and undoubtedly contributes to an improvement of the patient's quality of life at home. The system is tailored by Therapy: The information displayed on the web site specifically address the needs of each therapy. 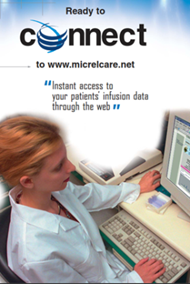 Micrelcare service is now available for PCA, PCEA and PN therapies. 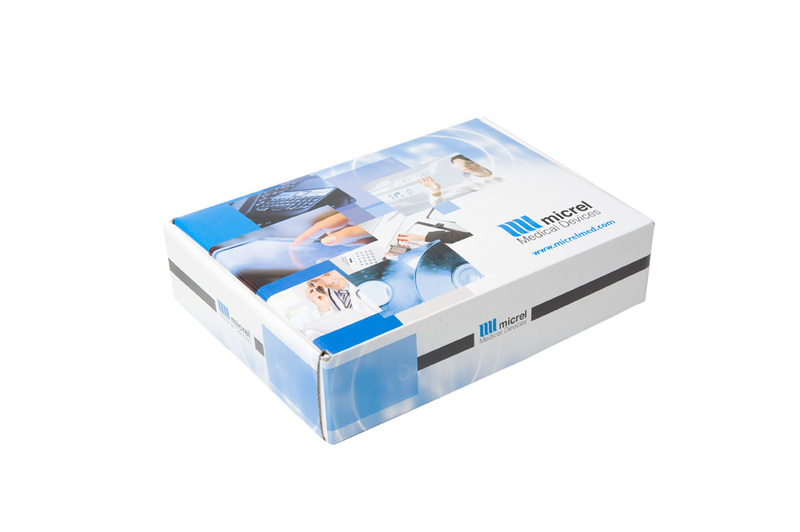 More information about MicrelCare is available in the eHealth section of our website. Please click on the Specifications Tab on the right to see the specifications of this product. The IP Connect can be connected to all Rythmic™ "Ready To Connect" pumps and allows access to the MicrelCare Server using standard Internet and mobile connections. It is powered by a rechargeable Li-Ion battery that can be charged while the device is ON or OFF either when connected to Rythmic™ pump or stand alone.